Music to me has always been a calling, and the opportunity to live a life in music brings with it both privilege and responsibility. 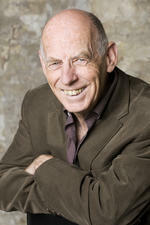 Born in Christchurch, New Zealand, September 27th, 1940, pianist/composer/educator Mike Nock played his first concert in 1951. His career since then has seen him perform and record with many of the world's top musicians in a wide range of contemporary musical styles. In the process he has become widely recognised as a leading jazz pianist/composer, initially through his seminal and influential Jazz-Rock group The Fourth Way, then later through his extensive catalogue of recordings and compositions. Although best known as a jazz musician, his compositions encompass a broad range of instrumentation and style, including string trios/quartets, woodwind and percussion ensembles, large orchestral works, solo piano music, piano music for four hands, electronic scores and a large library of music for every size jazz group from solo pianist to big band. His music has been commissioned, recorded and performed by a range of leading classical and jazz musicians and has appeared in several print editions. In 2003, he was awarded the New Zealand Order of Merit (ONZM) for services to jazz, and in 1993, his life and music was the subject of a 60-minute TVNZ documentary. In 1983 he hosted his own TV series Nock On Jazz, and, while living in the USA (1961-1985), received three National Endowment Awards for composition. From 1999-2001 he held a two-year Australian Arts Council Fellowship and for six years was the music director for Naxos/Jazz, overseeing the production of more than 60 widely acclaimed CDs, from all corners of the world. Time-lines : a piece in four movements for percussion ensemble and improvising soloist (optional) (1993) Commissioned by Tall Poppies Foundation for performance by Synergy Percussion. Book: An overview of third stream music in Australia, focusing on the compositions of Judy Bailey and Mike Nock / Nadia Burgess. Book: Serious fun : the life and music of Mike Nock / Norman Meehan.